Honey Bee Swarms: FREE in or near service area map. 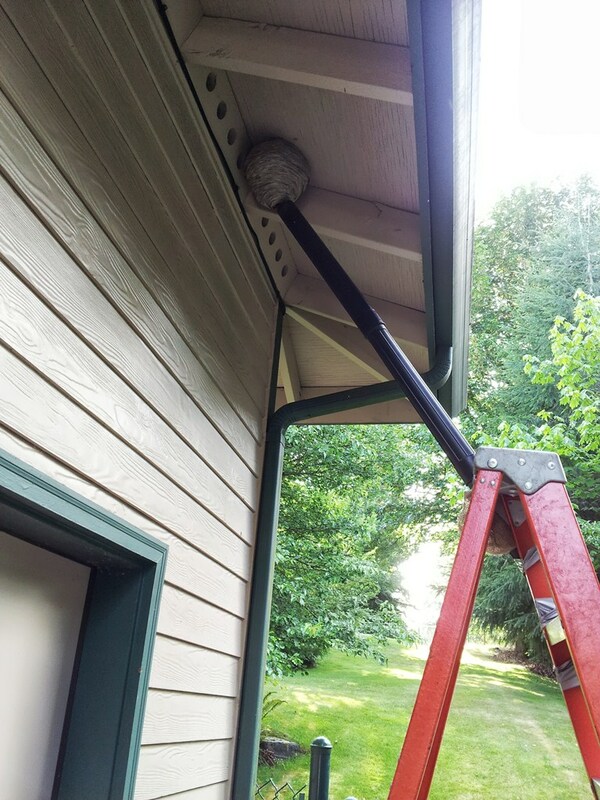 for non-poison removal of bumble bees, wasp and hornet nests. We remove the nest and the foragers that return within an hour. 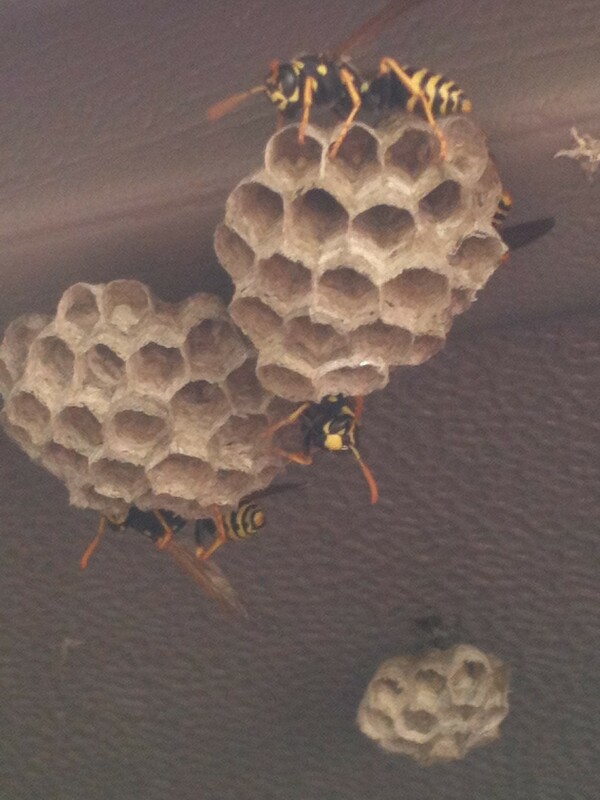 For a common mid-summer nest of 2,000 wasps, less than 15 bees will miss our visit and will dwindle away in the days after the nest is gone. 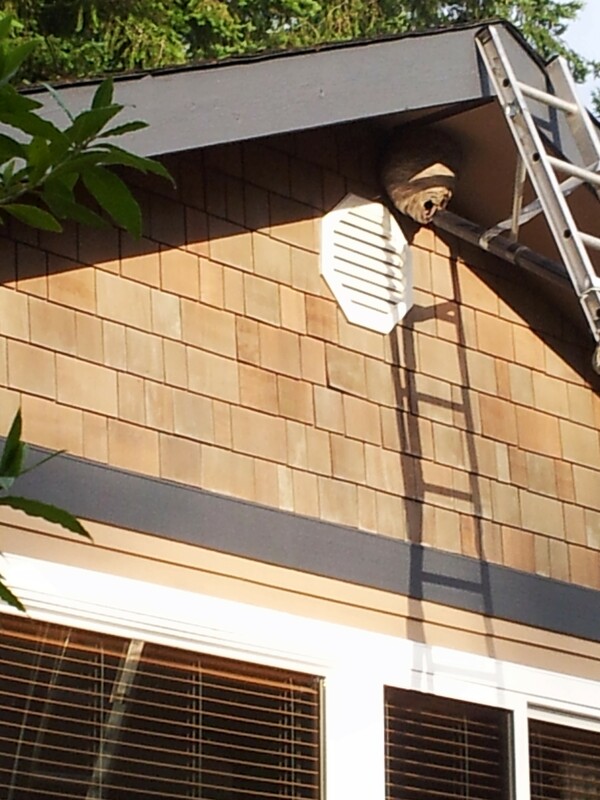 If the bees are in an attic or crawl space, we can often remove them without cutting into the wall. 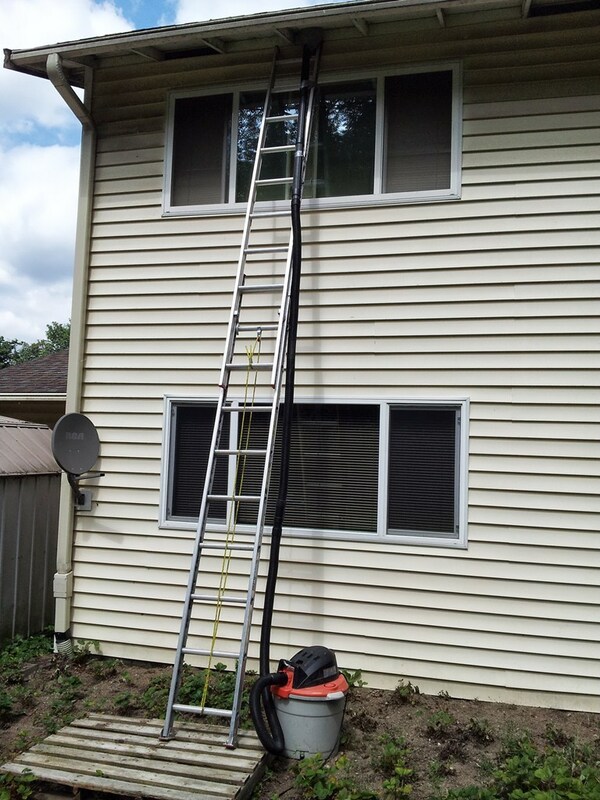 If we do cut open a structure, the repairs are the responsibility of the homeowner. 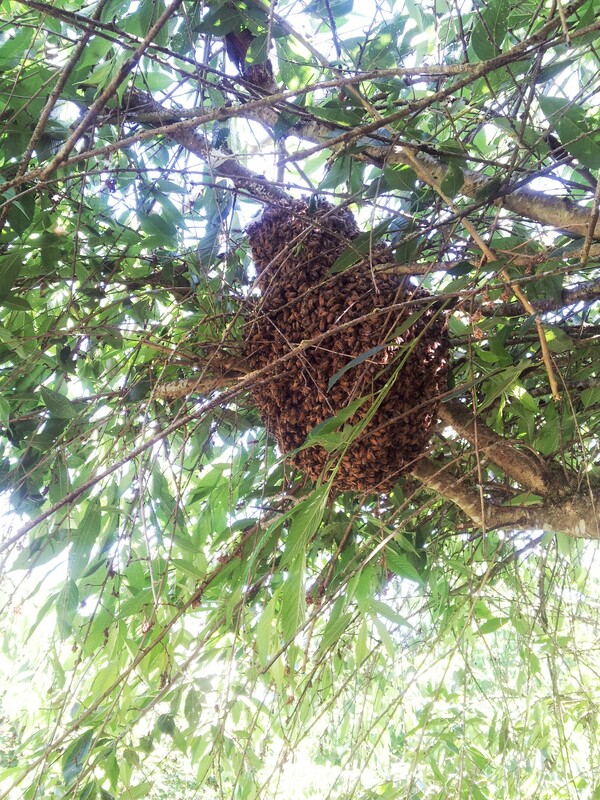 Relocating a live honey bee colony is an involved project, and the value of the bees only partially offsets the labor costs. Please call for a quote. 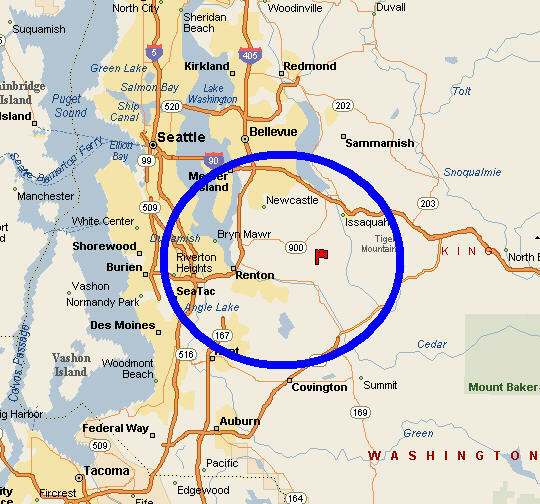 Distance charge: First 10 miles are free, then $4/mile one-way from my location in the Renton Highlands. Consultation: $80 No bees actually removed. This consultation fee may be applied to removal services for the rest of the season. Bumble bees: We do not kill these valuable native pollinators. 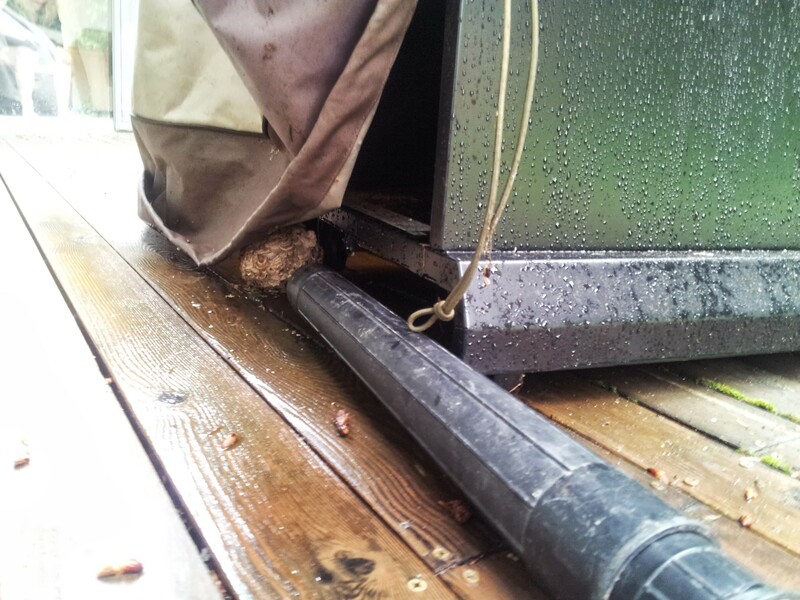 We move the nest into a box during the day, and seal up the box when the foragers have returned home after sunset. Live yellow jacket relocation: Many people choose to respect the life of these beneficial insects and often it is possible for me to move them to our 5 acre farm to finish out their annual cycle. Because their paper nests are very fragile, this only applies to outdoor jobs. 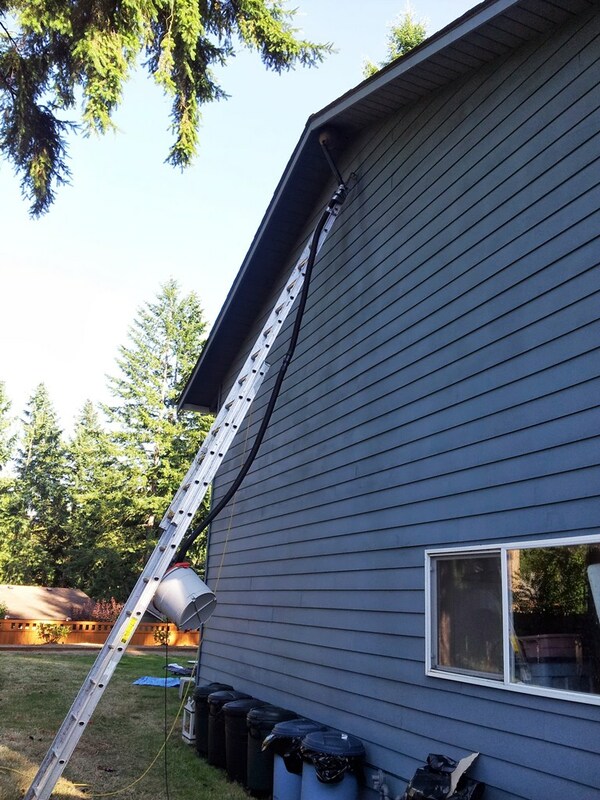 We offer honey bee rescue and poison free wasp & hornet nest removal services in and around the Seattle area and SE King County, including Renton, Kennydale, Newcastle, Issaquah, Eastgate, Bryn Mawr, Skyway, Tukwila, and portions of Seattle, Kent, SeaTac, Covington, Maple Valley, Bellevue, & the Sammamish Plateau. 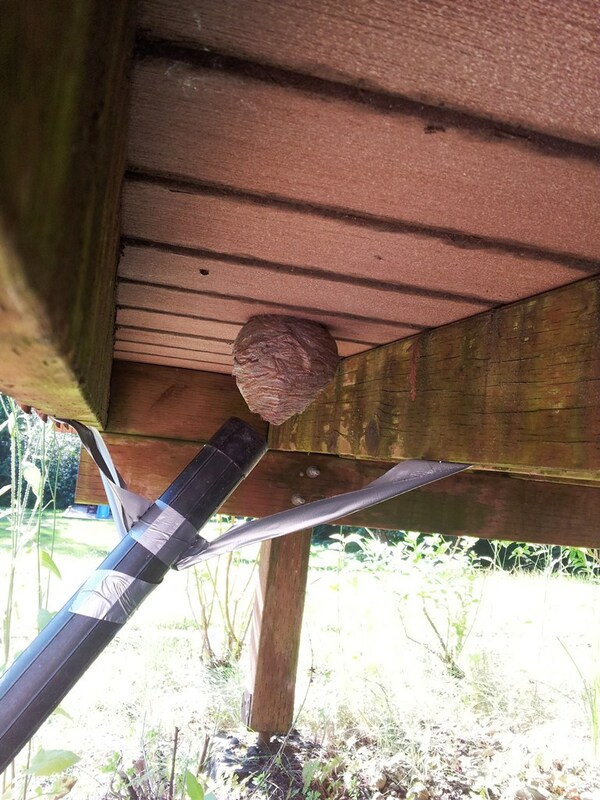 We only use safe and natural methods to collect and eliminate your unwanted stinging insects. 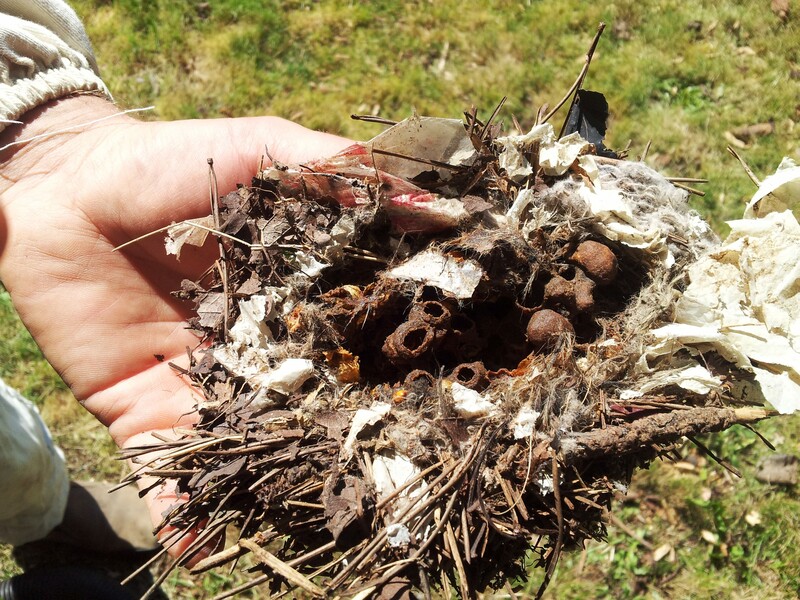 There is no unsightly nest left behind to clean up when we finish, nor do we leave poison chemical residues behind since we do not use poisons or pesticides of any kind. 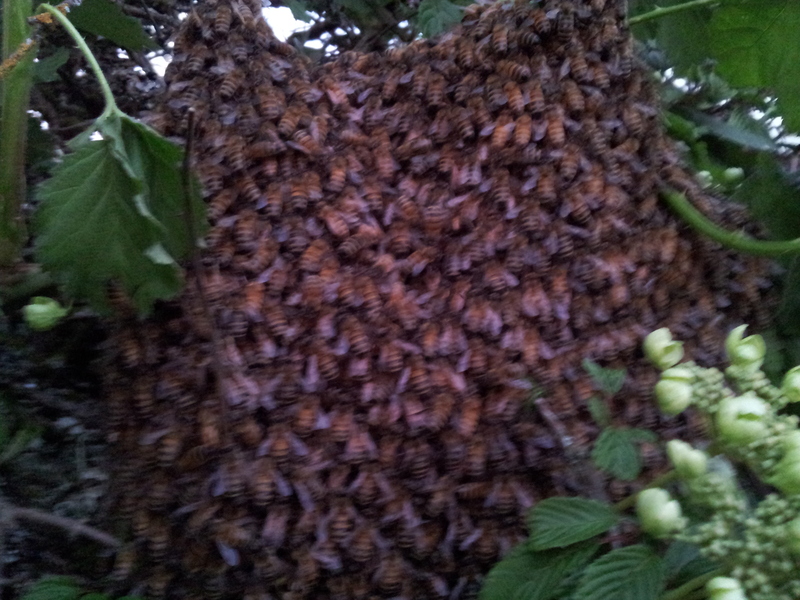 At the end of the day, the unwanted nests and insects go to the chickens, and the honey bees join the apiary. Bumble bee nests move out to the farm to help our local population of native pollinators. Please note that some neighborhoods are outside our normal area, so we include a charge to cover the additional time and miles required to reach you. B. Vosnesenkii partially killed by homeowner w/spray poisons. 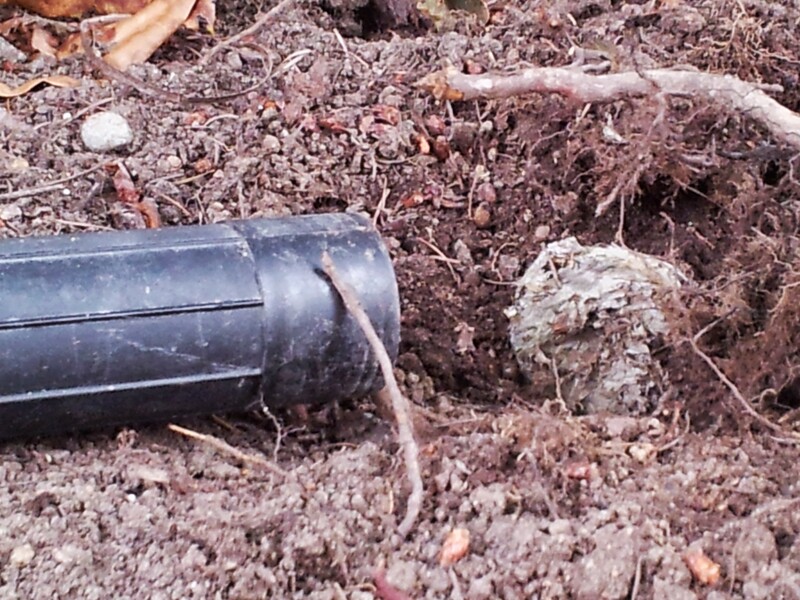 Nest removed.